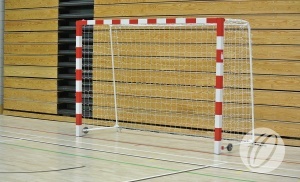 Steel handball goals with folding side frames and wheels to aid movement. Folding net supports with flip up non -marking rubber wheels. Detachable steel bottom backbar for ease of use and storage. 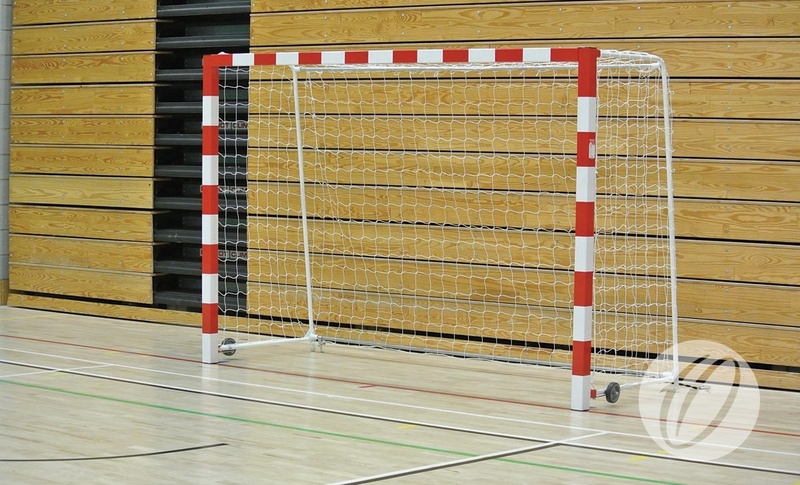 31.8mm steel folding net supports. Red with white vinyl markings.